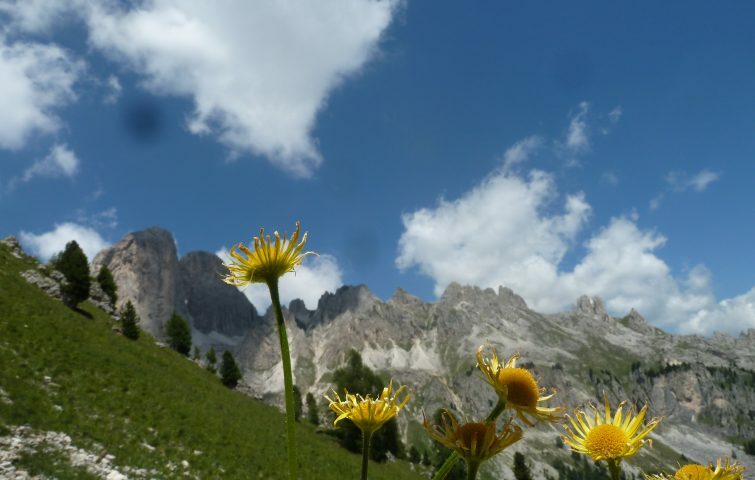 An opportunity to enjoy some of the most famous mountains in the world: the Dolomites. This unique area has breathtaking views and the summer alpine meadows are full of flowers, birds, butterflies and marmots all bursting with colours and sounds that enchant and thrill. Natural history expert Madeline, will help you discover the fascinating flora and fauna of the area and make the most out of your time in this stunning location. Rifugio Negritella is situated in the heart of these mountains at 1,986m and is only accessible via a cable car. All the rooms in this wonderful traditional refuge are ensuite, and each night the scents and simple, wholesome flavours of the local gastronomic tradition will surprise you. Each day we explore a different route through Alpine woods, pastures and cols, including the Col de Ciampac at 2,280m. 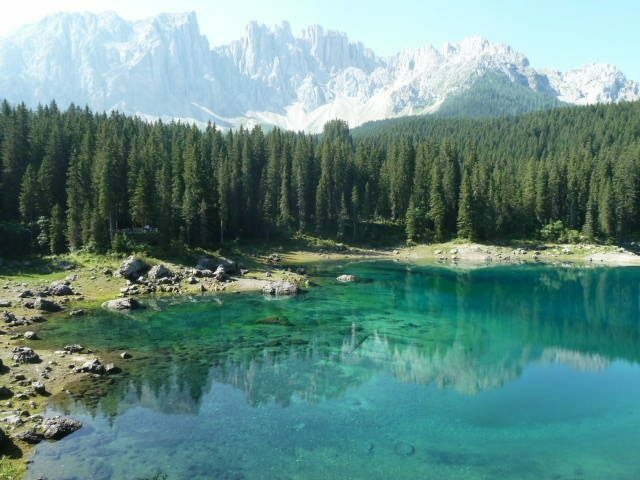 On one of the days we also walk by a spectacular turquoise Alpine lake, Lago di Carezza. The walks are graded as ‘Low Intermediate Alpine’ and this means that two walks include descents of 520m and 485m respectively which is just a little more than the general description for this grade. However, the pace will be very slow and so perfect for natural history walks with lots of stops, using paths of 5 – 6.5 miles in length. There’ll be a ‘free’ day, when you can visit the ‘Iceman’ in Bolzano, go shopping in Vigo di Fassa/other local town(s) or simply relax. Price includes: 7 nights full board; ensuite twin rooms; all transport to and from Venice Marco Polo airport and to the walks. Flights to Venice not included. Single rooms may be available if you book early – supplement £15 per night.